The definition of Agile Fabrication has evolved from discussions here on Morphotype in the last year and a half. The idea for the workshop at TU Delft started from a collaborative research visit to Tianjin University with Dr Qiang Sheng in November 2015 supported by a UniSA and Tianjin University collaborative research funding grant. Since then myself and Dr David Kroll have been working with Asst Prof. Nimish Biloria at Hyperbody, TU Delft and Dr Sinan Yuan with the support of Prof Xu at Tianjin University and Dr Qiang Sheng now at Beijing Jiaotong University to develop the workshop. 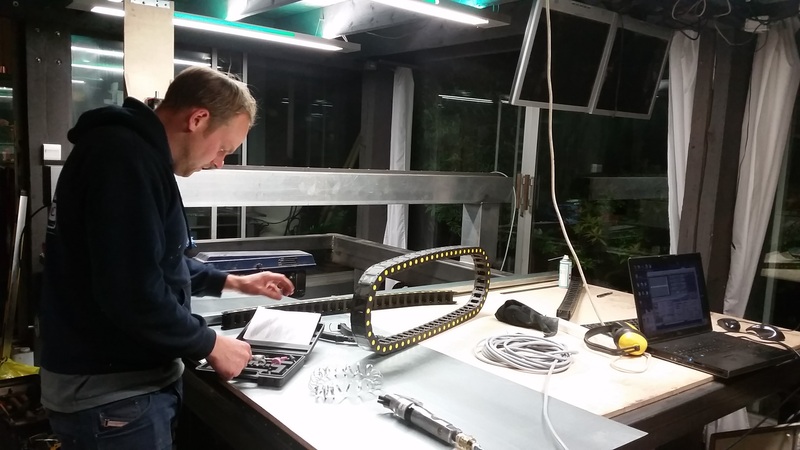 The TU Delft workshop served as the first stage in a series of 4 workshops to develop design, material and fabrication systems that can be decoupled and easily reconfigured in alternative combinations. The workshop consisted of 12 UniSA MArch students, 15 Hyperbody students and 8 students from Tianjin and Beijing Jiaotong Universities. Protospace2.0 was destroyed following a collapse of the the pneumatic roof resulting in the servers flooding following the fire. Its been nearly 10 years since I was at Hyperbody, since then Bouwkunde has burnt down and the iWeb / Protospace2.0 lab I worked on has been dismantled. Baukunde itself has become a new faculty of architecture @ BK City. 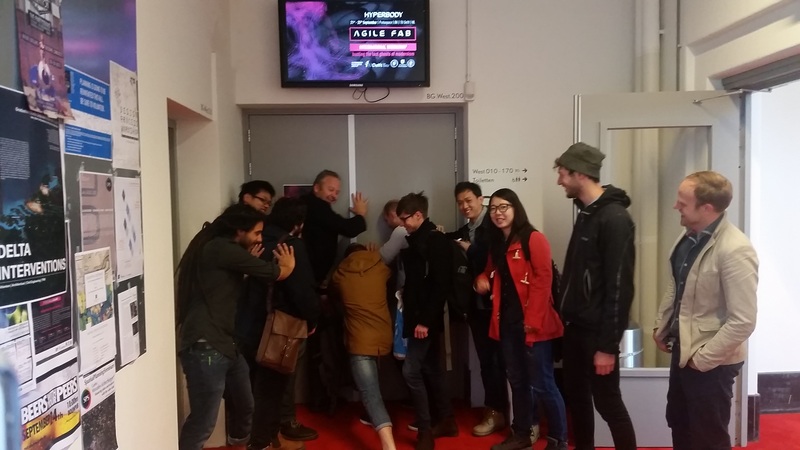 And there is a new train station in Rotterdam, which took us to the Agile FAB 2015 workshop at TU Delft. 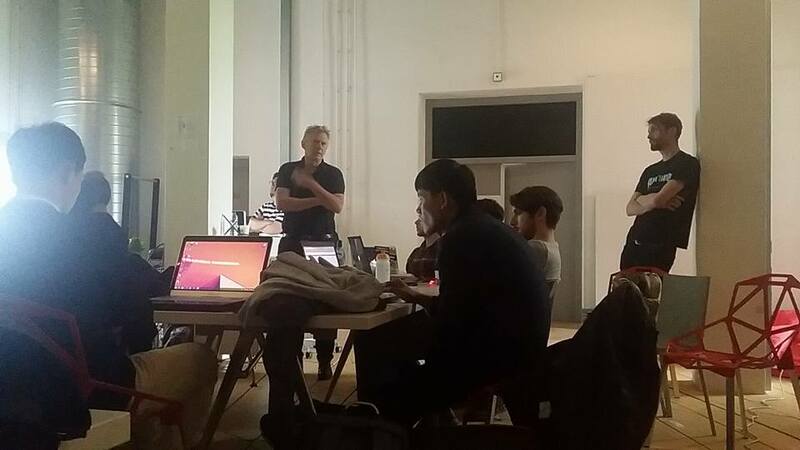 The workshop was held at Hyperbody’s Protospace3.0 Lab. All workshop tutors did short presentations to introduce the workshop and how their research fits into its agenda. The workshop ran for 5 days. It covered the development of a design system (designGhost) that could be ‘decoupled’ from the material and fabrication decisions of the design. As discussed on Morphotype previously here. Having decoupled the design systems in the first days the participants were asked to adapt the design system so that it could support 3 different contextual systems (Delft, Adelaide and Tianjin). Hyperbody set up a wiki for the workshop to record the process. In this way the workshop provided the opportunity for the students to explore the design without worrying about how it might be constructed or what it might ‘look like’. This also raised some interesting issues such as what are we actually supposed to draw in this approach? What does an immaterial architecture look like? It is envisioned that this would be possible by developing design systems that can support multiple (but not infinate) material systems. In this spirit Agile X Workshop Tutor and Architect Matt Murphy of Bauman Lyons Architects, gave a fascinating talk on the use of parametrics and digital fabrication in practice through a case study of building a CNC machine from scratch in his garden shed. It was exciting to see the teams bond and genuinely enjoy the experience. 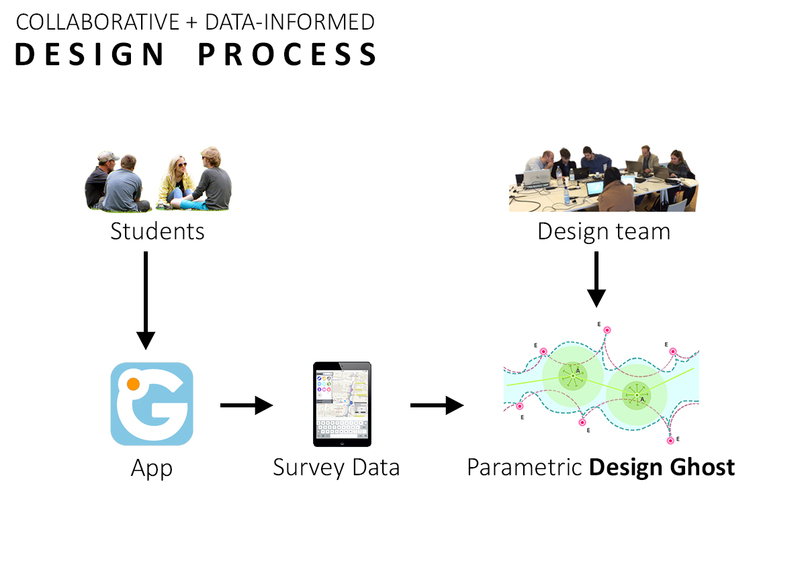 The workshop summary identified that one of the most valuable outcomes of the process was bringing together participants into teams composed of diverse design cultures. This provided an opportunity for the students to build on the alternative approaches they had learnt at their different institutions and identify opportunities for synergies and collaborations. This demonstrated that not everybody has to have the same skill set and that at least in a complex design context such as this there is great value in a design team which comprises alternative perspectives. This reflection was continued by the UniSA students who had the opportunity to visit and present the work from their previous design studio (morphogenetic prototyping) at UniSA to David Gionotten at the OMA headquarters in Rotterdam. David’s responses helped the students to reconsider their projects for their final studio on their return to Adelaide. In addition to the office tour of ONL, we were lucky enough to have studio tour of MVRDV (above) and UNStudio (below). We hope that the main impression the students are left with is the value of multiple perspectives in the design process and a feeling for how to identify truely great ideas in their work that can speak and fly beyond the dogma of any individual design culture. From all the offices we visited the most exciting was the work of NIO who are super cool and gave a fascinating and inspirational perspective on our role as architects. Finally it remains to thank all those who made the workshop possible and their continued interest in this research which we are now excited to be building first in Adelaide in February 2016 and then in Tianjin / Beijing in September 2016. Keep an eye on this blog and the Agile X page for upcoming details. An absolutely mind bending experience, I look forward to diving into this subject further and seeing how it progresses. The energy, enthusiasm and international collaboration made the workshop at TU Delft a truly inspiring experience. Thanks to everyone who made it what it was, it was a privilege to be part of it!